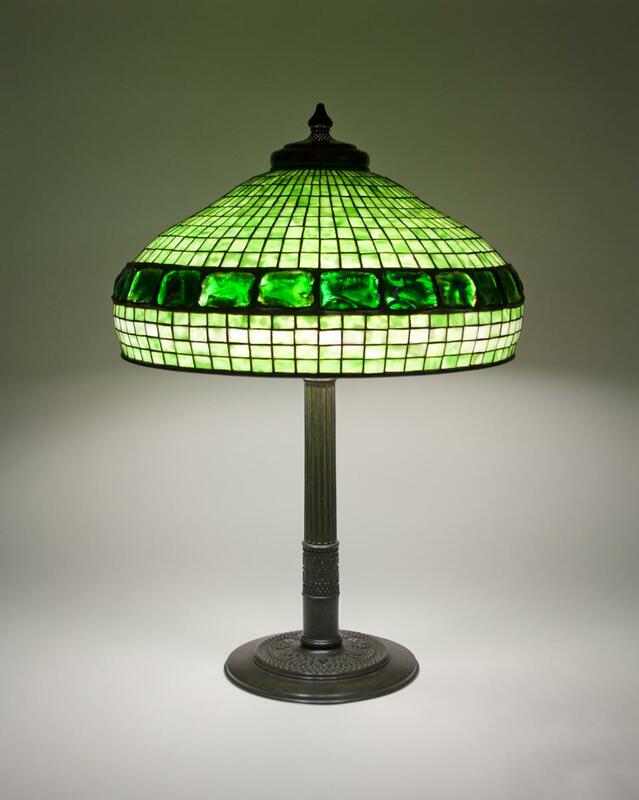 This Tiffany Studios Lamp comprises a geometric leaded glass shade in mottled green glass with an inset border of Tiffany Studios Favrile Glass Turtle Back tiles. Louis C. Tiffany used the turtle back glass tiles throughout his design work at Tiffany Studios, including in many of lamp shades and bases as well. This Tiffany lamp has an original reticulated bronze heat cap and is signed.